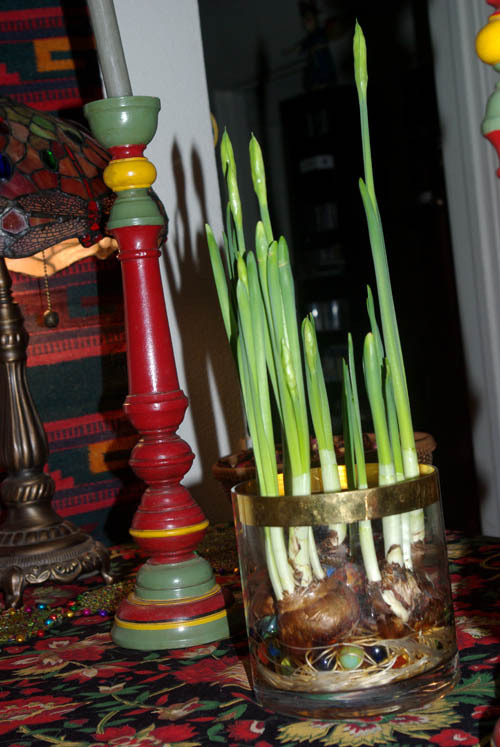 Plant Whatever Brings You Joy » Time for Paperwhites! Oh, my goodness! Only 21 days until Christmas! 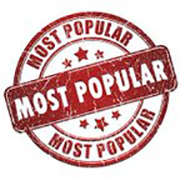 Christians around the globe are gathering their inner resources, making plans for the holidays. Some are out the gate! (I received my first Christmas card yesterday from Wisconsin!) One of the treasured practices of this special time of year is to tuck paperwhite bulbs into a simple medium and add a bit of water. And voila! One has a lovely way of marking the days until our special holiday is upon us. 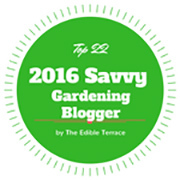 By planting today, you will most likely enjoy their fragrant blossoms gracing your lovely breakfast table on Christmas morning. Get a move on! Here’s what you do! The simplest things are needed. A clear pot. Some marbles. Bulbs. Mine this year are “Paperwhite Ziva”. 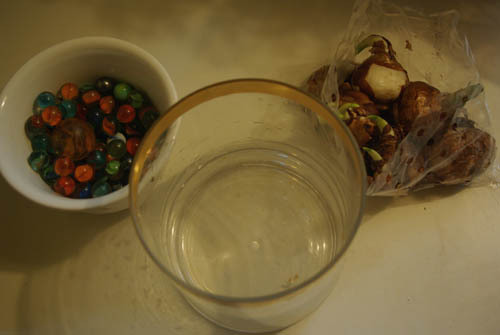 Place a layer of marbles at the bottom of the container. Some folks like to use abundant marbles (or stones or colored glass), but I use fewer, primarily because paperwhites do get tall, and I offer them a bit of support by using fewer marbles and thus a glass container that will help hold them up as they grow. Simply place the bulbs, pointy side up into the marble medium, and add enough water to cover the very bottom of the bulbs. 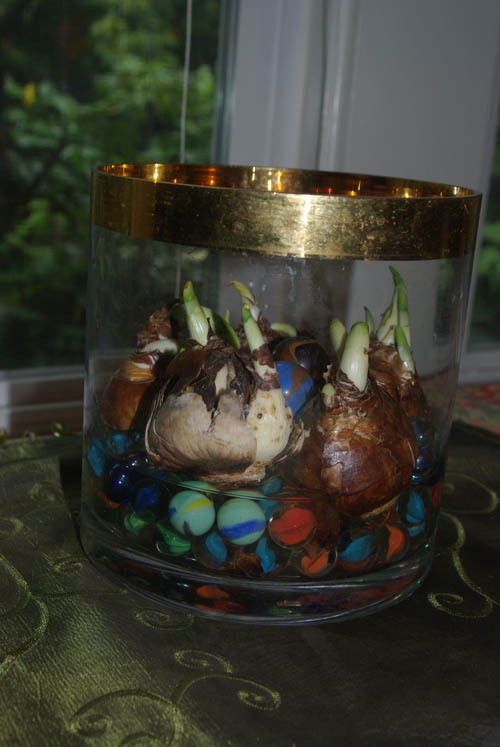 If you are so inclined, there is a “trick of the trade” euphemistically called “pickling the paperwhites” that involves topping off with alcohol, not water, which will stunt the growth of the plant. But I just let them be. Don’t they just emanate life and possibility? I think so! And here’s the sweet result! 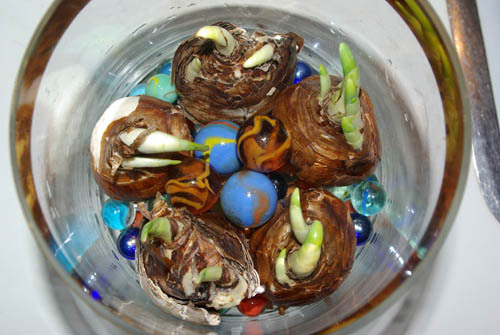 Check daily to see that the bottoms of the bulbs are covered with water. The water will evaporate in proportion to how hot you keep your home in winter. Roots will emerge and seep into the marbles (or whatever medium you have chosen), the greens will sprout upward, buds will appear and open, right around Christmas time! 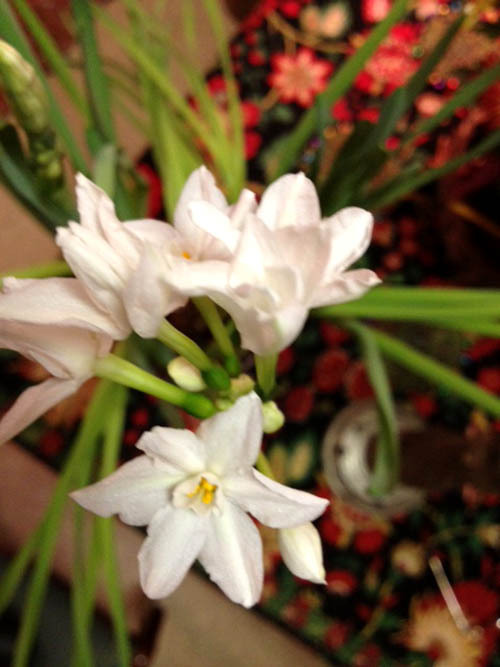 Nothing can match the sweet fragrance of paperwhites that will emanate from your simple creation. It is a lovely gift to the family. I think this is a special tradition that you might well share with your children or grandchildren, marking the days before Christmas by watching the paperwhites emerging–a new Advent practice to perhaps include along with the conventional chocolate calendar! Enjoy, my dearest readers. Let the paperwhites remind you of the essence of the holiday. Let them be a place where you can stop and smell the paperwhites. A place to pace yourself. To breathe in beauty, to release the pace of the day. 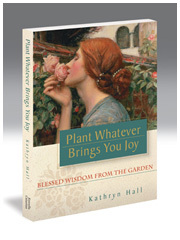 Book News: Plant Whatever Brings You Joy was blessed with a review in Examiner.com written by minister Allyson Szabo. She tells me she will be contemplating how she might use some of the lessons in the book in upcoming sermons. 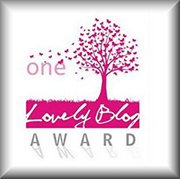 I am humbled and touched and delighted! 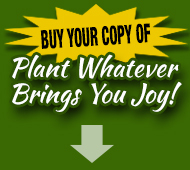 If you would like to order gift copies of Plant Whatever Brings You Joy, here’s a reminder that priority shipping is FREE in the US and we offer free giftwrapping! 🙂 Simply visit Estrella Catarina and place your secure order. Thank you! I have loved paperwhites for a long time..my only hint..do not overdo it. I have been known to plant so many the fragrance was overpowering! This is a wonderful project for kids, who can watch them grow, and kids of all ages! This is also a wonderful gift to give…That gives me a wonderful idea. Thank you. 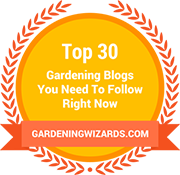 I have done this before, and it is very special…your advice on not having the bulbs too high is a good one, to use the bowl in assisting in keeping them upright. I will remember that. I am having a fragrance memory! 🙂 What a joyous thing!